We have two private lots-- one is located across Main Ave and and the other is on the North side of the restaurant. Street parking is also available. Located just a few minutes from downtown in architecturally rich Monte Vista, La Fonda on Main is the oldest Mexican food restaurant in San Antonio. La Fonda serves both the best of Tex-Mex cuisine as well as authentic dishes of interior Mexico in a fun and casual setting with beautiful patio dining. Open daily serving lunch and dinner as well as a memorable Sunday brunch menu, we offer a full bar with a wide variety of liquor, beer and wine. Our famous margaritas are made with hand-squeezed limes and your choice of a large selection of tequilas. Love La Fonda On Main. Food was Excellent. Enjoyed spending Easter there with family & Loved Ones. Love the patio on a spring day. Thank you for such a lovely experience. One of the best places in San Antonio for Mexican food. One of our favorite restaurants. 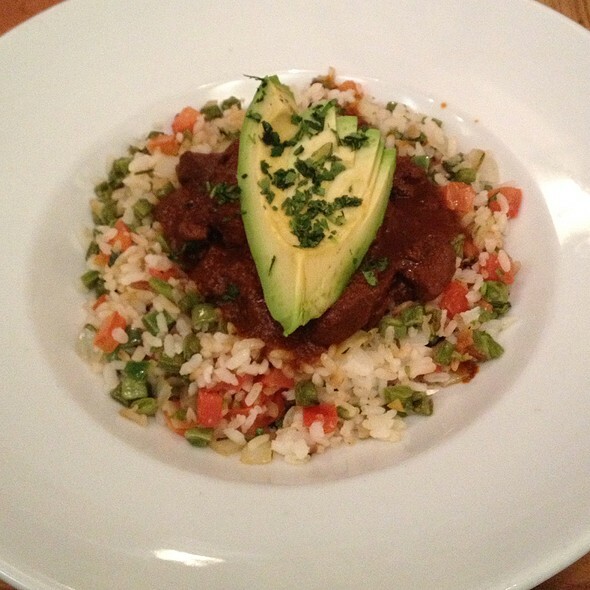 The Mahi Mahi Veracruz was excellent, and the capirotada was delicious. This restaurant felt a little less touristy compared with the restaurants on the river walk. Food was also definitely better. Shrimp enchiladas were great. Waiter was very good but host/hostess in the front were not very good. Kids enjoyed chips, tacos and enchiladas. 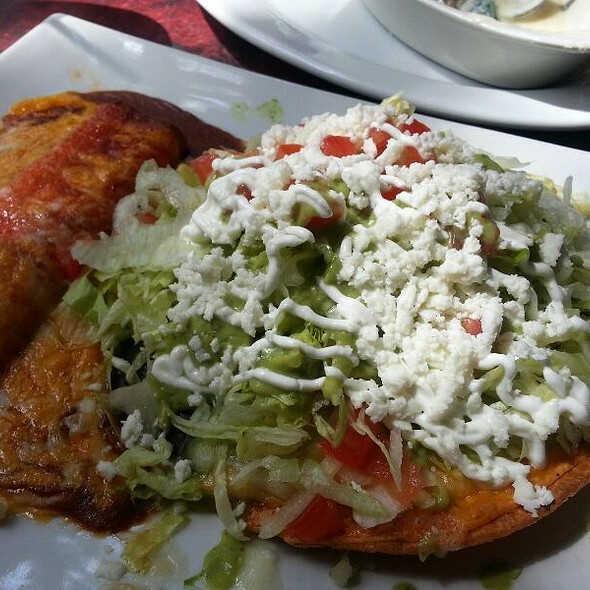 However, I would not hesitate to recommend to a friend for a taste of Mexican in the local area. Our waitress was not very good. She never brought chips. Had to ask several times for straws. She would stand near the bar and ignore our waves to get her attention. Another waitress finally brought the chips. Food was delicious as usual. Never ask if we wanted warm tortillas as La Fonda normally offers. The waitress either needs more training or needs to find another job. Maybe she was having a bad day. The food here is amazing! Everything has so much flavor. 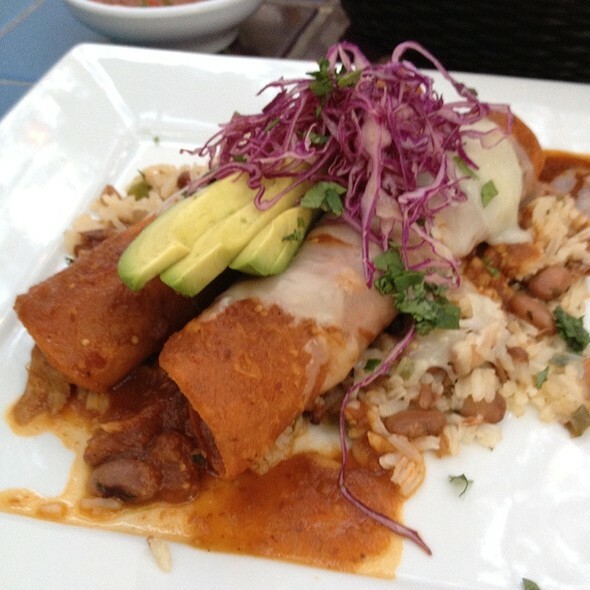 My favorite is the Mole Enchiladas. I take all my visitors to San Antonio for a meal at La Fonda! 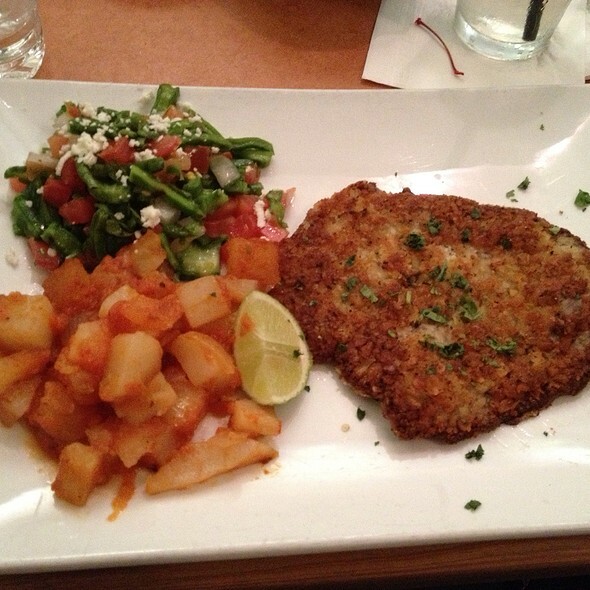 Service is always warm and helpful and the food is fabulous! Thank you! A family birthday dinner. Waiter was clearly distracted by something or someone. My a little dirty martini came out tasting like the Pacific Ocean. When I requested a new one, I was made to taste it in front of the waiter. Our appetizer never arrived, and when our meal did, he admitted he had forgotten it. When I mentioned how distracted he seemed, he did improve his quality of service, as we were halfway through our dining experience and pretty close to leaving a tip. The food was very good. Our desserts were delicious. I’m really starting to feel that Cappys properties are not really customer oriented anymore. It’s not about creating a dining experience for the customers anymore, but getting them in and out and on to the next reservation. We had a similar experience at Cappys a few weeks ago. I think we’ll start looking for other celebration spots. We arrived early but were still seated promptly. Great waiter who was very attentive to my grandboys. Great food and drinks. Always nice to sit out under the trees at LaFonda. The food is always of good quality and the service superb. Excellent service. Willingness to please customers. our favorite! love the food and atmosphere. Never had a bad experience. Wonderful server, wonderful courtyard table, wonderful atmosphere! Best Mexican restaurant in town hands down. 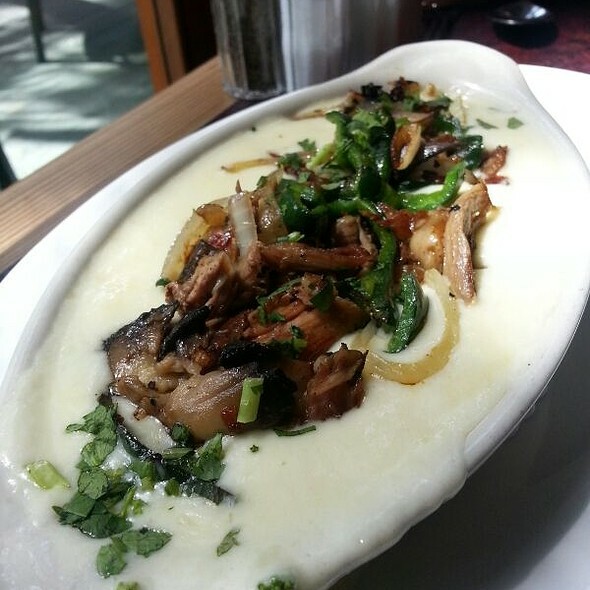 Food is not heavy, tasty, and by far some of the best vegetarian dishes. Excellent food as always. Service great as was the amaabience. Dining outside on the patio has great atmosphere, and the service from our waiter was exceptional. The food was delicious. I highly recommend dining here. One of my favorite restaurants in San Antonio. La Fonda on Main is my favorite restaurant in San Antonio. 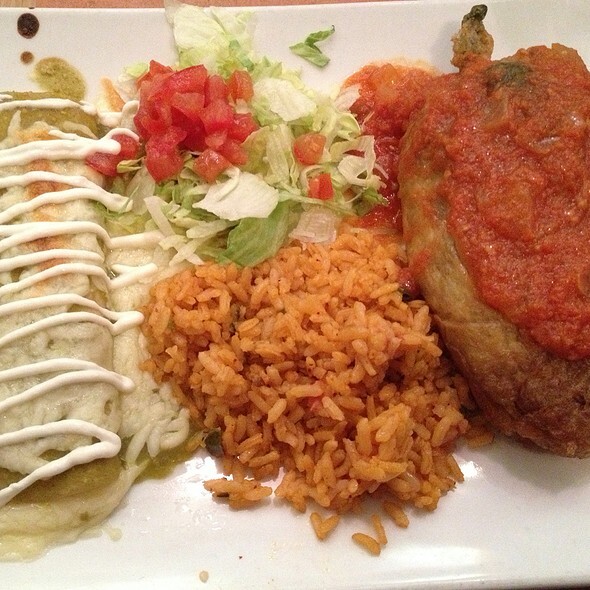 The food is authentic, high quality Mexican cuisine, not just TexMex. The ambience is lovely old world and the patio is quintessential San Antonio. Large spreading oaks and string lights make for a perfect night out. The food. 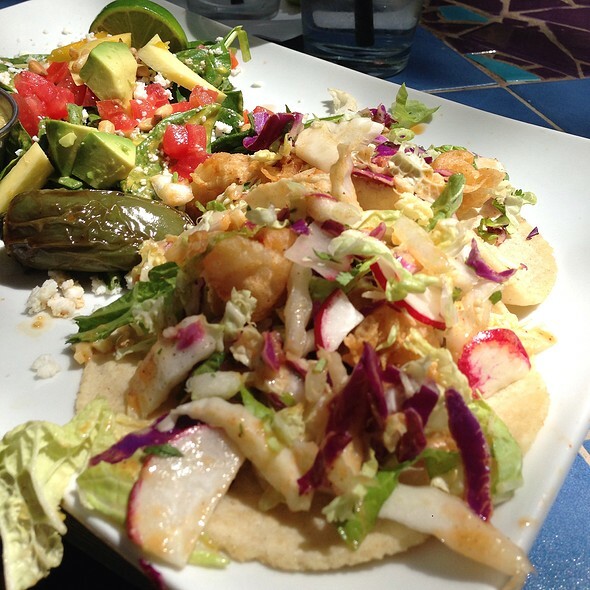 Expect excellent seafood and steaks, along with fajitas, tacos and enchiladas. I am obsessed with the Camarones Al Ajillo. Large shrimp with mild garlic flavoring perfectly grilled, with a rice you will become addicted to. Corn, nopal and fresh white cheese will have you wanting this rice for every meal. 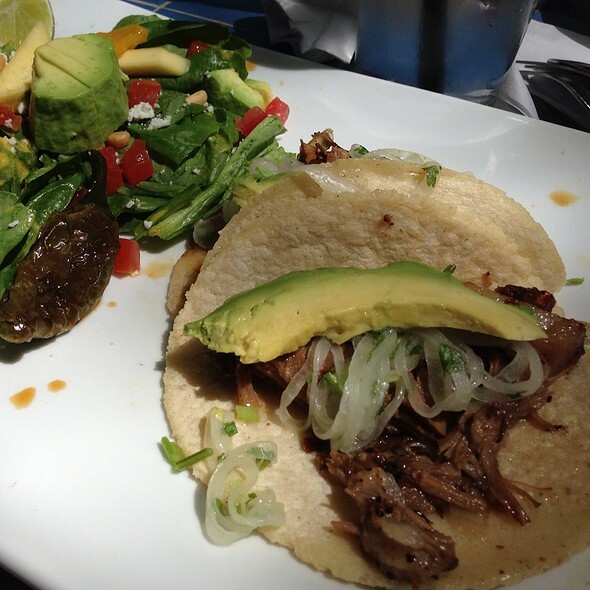 Though it’s hard for me to vary from my favorite, every dish I’ve tried - steak fajitas, posole, gourmet fish tacos - have been fresh and beautifully prepared. Great food and margaritas. A little too noisy for me making it hard to understand others at my table. Did I say great food and margaritas? Can't wait to go back again! The longtime restaurant is a classic and a family favorite, but the remodel of a year ago has resulted in a dark and gloomy interior. La Fonda Special and Old Number 7 were our choices. We like the classics, but you can't go home again. The cheese enchiladas had way too much cumin in the gravy and lacked onions with the cheese filling. Such a disappointment, as La Fonda use to have the best cheese enchiladas anywhere - period. Beef taco was best I have tasted and the tamale was very good as well. Bean chalupa compuesta was excellent. Beans and Rice were not as good as I remembered. Guacamole was fresh, but average. The hot sauce/salsa was the La Fonda original and truly outstanding. Best you salsa you will ever find. Unfortunately, store bought chips vs. the fresh made I remembered. Service was friendly and attentive. As usual my experience was excellent! Wonderful food with great atmosphere! You can't beat the wait staff either. Great as normal. Had a long time waitress and things could not have been better. Nice to see that Cappy has done some improvements. Love the new tables and chairs along with the removal of the carpet. This is twice now that our server has been, let's say, NOT attentive! What's up with that?! The restaurant wasn't that busy either! UGH!! My three visits here have been consistent: decent food and service in a lovely location. The food is good, but is just uninspired and typical of restaurants costing far less. The service is pleasant but consistently mediocre and it is hard to get water refills or a check. While I’ve enjoyed my visits, I most likely won’t go back. The place always seems packed so evidently others think more highly of it. Great service, nice cocktails (spicy cucumber rita), delicious food (had duck tacos and garlic shrimp). Beautiful and clean restaurant and patio. Great meal as always! Felt a little rushed, but it was a Saturday night. Best nachos in San Antonio, and I always recommend the old number 7. 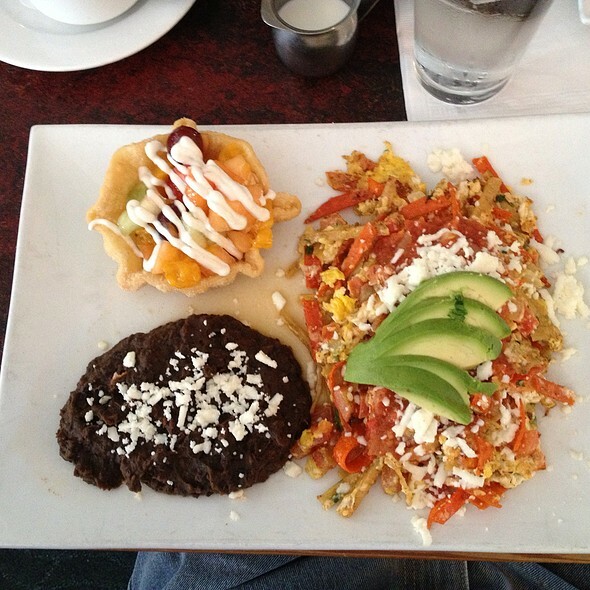 The one thing I can say about La Fonda, is that the food quality and taste are extremely consistent! Taking all considerations, Friday night, busy, and we were impatiently hungry, the food for 4 was cafeteria level, the maitre ‘d was l less than friendly (8:30 reservation) when we waited until 8:50, and seating location was of bourgeois level. Best part was our waitress but she had poor support.